ServiceMaster Restoration by Complete has been a leading provider of disaster restoration and cleaning services in Monroe Township, NJ and the surrounding areas since 2001. Our main office is in Staten Island, NY where we can effectively service the homes and businesses of Staten Island and Brooklyn, NY as well as the communities of Middlesex and Somerset counties in New Jersey. We are standing by 24 hours a day to answer your call and we dispatch our highly-trained technicians to your location within 1-2 hours to limit the damage and begin the restoration process. Our main services include water damage restoration, storm damage restoration, fire damage restoration, mold remediation, hoarding cleaning, construction services, and a variety of cleaning services such as carpet and upholstery cleaning. We use only the best cleaning products and equipment of the industry to provide high quality services and our technicians are certified by the IICRC in mold remediation, water damage restoration (WRT), and structural drying (ASD). ServiceMaster Restoration by Complete is also prepared to respond to large losses anywhere in the U.S. as part of the ServiceMaster nationwide catastrophic response network. We are available 24 hours a day at (732) 751-4004 to provide emergency disaster restoration in Monroe Township, NJ. Water damage is so common that it is easy to forget that a little excess water or moisture can lead to big problems in a home or building if it is not taken care of properly. There are many potential sources of water damage including floods, heavy rain, leaks, pipe bursts, and humidity. Excess moisture can spread easily in a home because it gets absorbed in porous building materials like wood, drywall, and insulation. The absorption of water will not only weaken the building materials and increase the risk of structural damage, but also create conditions ripe for mold growth. 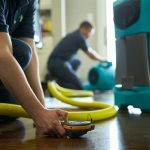 ServiceMaster Restoration by Complete provides water damage restoration services to remove water from homes and businesses in Monroe Township, NJ. Our water extraction equipment can remove any amount of water from a small leak to indoor flooding. There is always the possibility of severe weather in New Jersey and many weather conditions such as heavy rain, thunderstorms, flooding, tornadoes, and hurricanes could cause significant damage to your home or building. Severe weather usually consists of strong winds that can damage siding, roofing, or windows and this type of damage combined with heavy precipitation can lead to water damage or flooding inside. ServiceMaster Restoration by Complete provides flood and storm damage restoration services to help restore and repair homes and businesses in Monroe Township, NJ that have sustained damage from a flood or storm. Our technicians can effectively extract flood water with our advanced equipment and we also provide construction services to rebuild structural damage. Fires are major disasters that happen unexpectedly and they can very quickly cause deep, devastating damage in a home or building. The flames of a fire can spread quickly and damage anything in its path, but most of the damage happens after the fire is out as soot and corrosive byproducts continue to spread and settle. These byproducts can cause damage to various surfaces throughout a home and if the affected materials are not restored quickly enough, they will become permanently damaged. ServiceMaster Restoration by Complete provides fire damage restoration services to help repair and restore homes and buildings affected by fire in Monroe Township, NJ. Our technicians use powerful cleaning products to prevent permanent damage from soot and corrosive byproducts and we can also repair structural damage caused by the flames. Mold is a difficult problem to prevent and deal with because it forms anywhere that provides it with a moisture source and a food source. Once mold growth appears, it can cause discoloration of the affected surfaces, musty smells, and structural damage if given enough time to eat away at the affected surfaces. The other major issue with mold is the possibility of negative health effects as exposure to mold spores can cause allergic reactions and respiratory infections in serious cases. 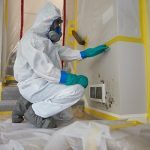 ServiceMaster Restoration by Complete provides mold remediation services to remove mold growth from homes and businesses in Monroe Township, NJ and restore the damage. We can provide accurate testing to find all mold growth and we use advanced cleaning products and equipment to ensure that it is removed. 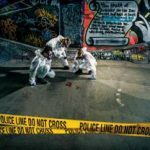 If a violent crime or accident occurs on your property, dealing with the aftermath is often traumatic and the scene may contain biohazard materials that pose a serious threat to your health. It is best to keep your distance and call 911 right away, as well as a licensed professional to handle the cleanup of the scene. Biohazard materials like blood and bodily fluids could contain harmful viruses and bacteria. Any attempt to clean up these materials without the right equipment or methods will increase the risk of negative health effects. ServiceMaster Restoration by Complete provides trauma scene cleaning services to clean up dangerous biohazard materials and ensure that the scene is fully restored and disinfected. Our technicians will not only provide quick and discreet services, but also treat those who have lost a loved one with compassion to help ease the burden. The damage from a natural disaster rarely stays confined to one specific area of your home or building and as the damage spreads, it can affect your personal belongings. Flooding, fires, smoke, and mold can damage a range of personal content including decorative items, clothing, and valuables. If these items are not quickly restored, many of them may sustain permanent damage. ServiceMaster Restoration by Complete provides content cleaning and pack-out services in Monroe Township, NJ as part of our disaster restoration services. Our technicians can clean and restore your damaged personal content with our advanced cleaning products and we can also take your content to our facility for restoration if your home is severely damaged. Whether in a home or office, the carpet can have a major effect on the appearance of the space and a dirty or worn out carpet can diminish the look of an entire room. Most carpeting consistently gathers dirt and debris from regular foot traffic and the debris eventually finds its way deep into the carpet fibers and out of reach of a typical vacuum cleaner. If this debris is not removed and allowed to accumulate in the carpet fibers, your carpet will start to stain or wear out. ServiceMaster Restoration by Complete provides carpet cleaning services in Monroe Township, NJ to deep clean and restore carpeting in commercial and residential settings. We will clean your carpet with the hot water extraction method which has been proven to safely and effectively remove deeply embedded debris from all types of carpeting. The furniture in a home or office is as decorative as it is practical. If the upholstery fabric is allowed to become dirty or worn out, the furniture may negatively affect the appearance of the space and eventually deteriorate. Consistent use of the furniture causes the upholstery fabric to gather dirt and debris which can lead to staining and discoloration if not removed. Hard soil can be abrasive against the fabric with use and accelerate the deterioration of the upholstery. ServiceMaster Restoration by Complete provides professional upholstery cleaning services to clean and restore furniture upholstery for homes and businesses in Monroe Township, NJ. These services will revitalize the look of your furniture and help extend the life of the upholstery, saving you the cost of replacing your furniture. Hard surface flooring is used for so many applications in commercial and residential settings because it is durable against foot traffic, moisture resistant, and available in many styles and colors. The most common types of hard surface flooring include hardwood, tile, laminate, and vinyl and each of these flooring types is composed of tiles or panels. Consistent foot traffic causes dirt and debris to gather in the crevices between the tiles and panels and as this debris builds up, it can affect the appearance of the floor as well as the finish and adhesives. ServiceMaster Restoration by Complete provides hard surface floor cleaning services in Monroe Township, NJ to deep clean all types of hard floors. We use advanced equipment that removes embedded debris from the floors and helps restore it to its original condition. Many people clean their homes using traditional cleaning products without considering the effect that the harsh chemicals can have on their health or the environment. These cleaning products usually contain corrosive substances or volatile organic compounds (VOCs) that can have a negative environmental impact. ServiceMaster Restoration by Complete understands the importance of limiting our environmental impact and we offer the choice of green cleaning products for any of our commercial or residential cleaning services in Monroe Township, NJ. 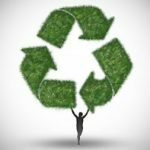 These green cleaning products produce the same effective results as traditional cleaners and they have the approval of environmental agencies like Green Seal and Environmental Choice. When a natural disaster occurs, there is always a chance that the damage caused by the disaster can have a devastating effect on a home or building. Disasters like storms, fires, floods, and even accidents can cause extensive property damage and threaten the structural integrity of the building. In these cases, the home or building must be secured and rebuilt before the damage becomes any worse. ServiceMaster Restoration by Complete provides complete construction services in Monroe Township, NJ to rebuild homes and commercial buildings that have sustained major damage. 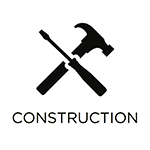 Our construction crew is highly trained and experienced to create and implement an effective construction plan to get your home or building completely rebuilt. Hoarding is a mental disorder that affects millions of Americans and leads to dangerous and unsanitary living conditions in a home. Those that struggle with hoarding have high anxiety that causes them to hold on to every object that they collect. As a result, the home becomes dangerously cluttered which increases the risk of fire and makes it difficult to move around the house. The hoard of items may also harbor mold or bacteria growth that can trigger negative health effects. ServiceMaster Restoration by Complete provides hoarding cleaning services to help clear out and restore hoarder’s homes in Monroe Township, NJ. Our technicians can handle any case of hoarding effectively and we establish a personal relationship with the affected individual to involve them in the process.